The article that follows combines both my love of history and cycling. I posted it a while ago on my history blog but thought that readers here might enjoy it also. 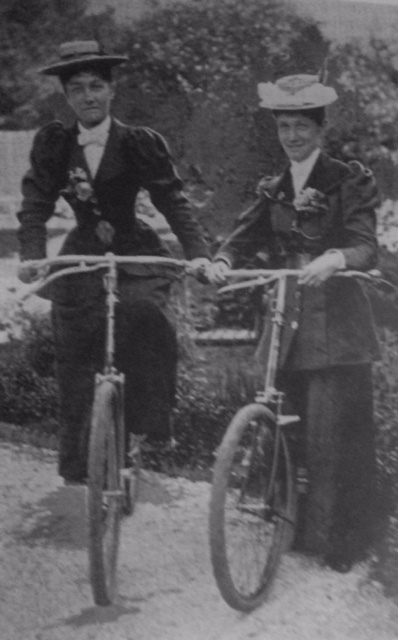 I came across it on Lists of note It was published in 1895 after two women dared to turn up to a cycling event in Chicago, wearing short skirts over their bloomers. Hope it makes you smile. Don’t overdo things. Let cycling be a recreation, not a labor. Don’t appear to be up on “records” and “record smashing.” That is sporty. I just loved this! Remember the slogan “we’ve come a long way, baby”? (they could have left “baby” out)! I guess the authors assumed that women were dingle-berries with no sense, then to hop on a bike in a skirt and hat no less! This was fun to read and makes me grateful I was born in the second half of the 20th century! Read on #MLSTL and also shared on Mix! I’ve tried to pick a favourite Jo, but can’t decide. Coasting can definitely be good for the soul Leanne. Thanks for sharing Jen. I’m not sure where to start with all that great advice! Perhaps the saddest thing is “Don’t appear in public until you’ve learned to ride well.” How are you going to learn to ride, if you don’t go out in public? Carry on riding your bike however you like. I for one am not a fan of the bike–due to the whole gravity thing. Three months after my fall, my knee is finally healed, though still scarred.